This is another car, now over 21 years old, so EPA exempt in original configuration and over 25 years old, so NHTSA/DOT exempt. However originally it was not approved. Not a lot of specifics in what this car actually was, but probably this car. 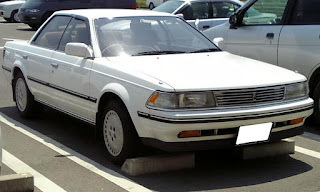 "The Toyota Carina ED was a Japanese compact car created in 1985 as a companion to the 1984 Carina sedan. It was positioned as the 4-door Celica coupe, ushering in a new styling and appearance direction for Toyota products. 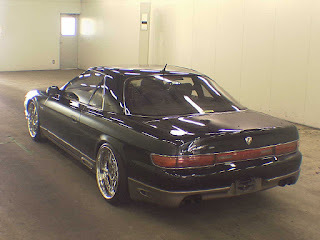 It gave Toyota Store dealerships an alternative to buyers who desired the luxury of the larger Toyota Crown hardtop, without the tax obligations of a car that exceeded Japanese Government regulations for vehicles larger than the "compact" class. 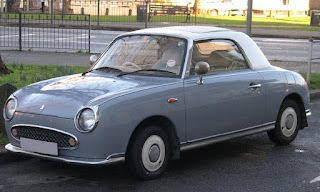 Its design sought to emulate the hardtop styling of large American and European sedans, resulting in a small, low cabin with longer front and rear ends. The ED's B-pillar stood up in the middle with no purpose other than to hinge the rear door on; it was not attached to the roof side of the cabin. "ED" is the initials of "Exciting" and "Dressy"." 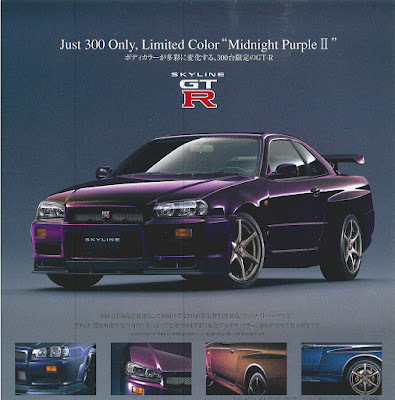 No numbers are listed anywhere, but its a normal production car, a lot more than 500 cars produced. Nothing special, nothing technologically significant. Does not meet "Show or Display" requirements. However, now over 25 years old, so import to your hearts content. 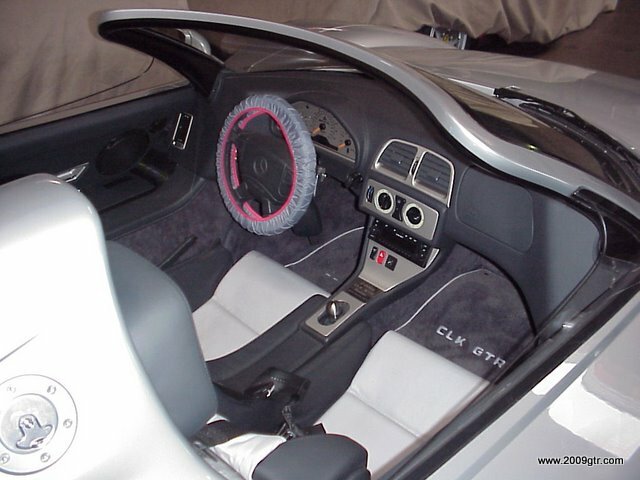 When I was working with G&K Auto Conversion/CEE Labs on Nissan Skyline GT-R's, they had a few Porsche 959, McLaren F1, and even this Mercedes Benz CLK-GTR Roadster that was having EPA compliance work completed. Show or Display exempts the vehicle from NHTSA/DOT requirements, but it still needs to meet EPA requirements if you plan on driving the vehicle. This Mercedes is a great example of a Show or Display car. Very unique, very expensive. Has some basis in production car parts by a major manufacturer. Only 26 total street cars. 20 hardtops, and 6 roadsters. 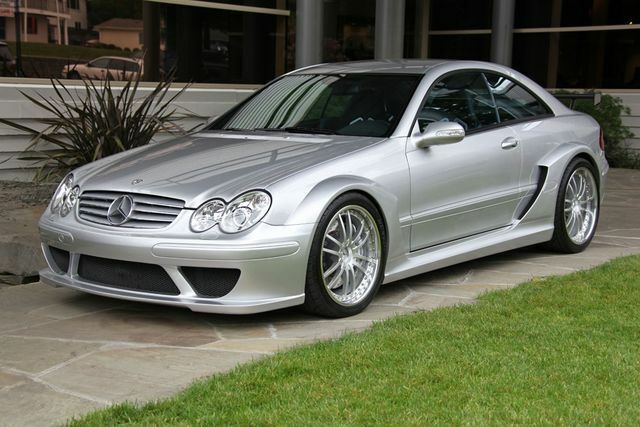 "After the completion of the 20 original CLK GTRs, AMG's specialist group H.W.A., who had assisted in the construction of the CLK GTRs, began construction of a roadster version of the CLK GTR. 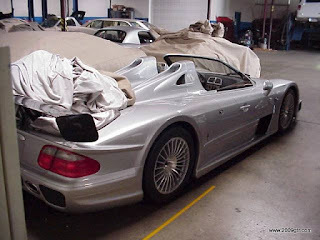 Built either by modifying an existing CLK GTR or by building a new car from spare chassis and parts, these cars were modified with the removal of their roofs as well as a reconstruction of their engine covers. Also the rear wing was replaced by a separate black wing, close to the one on the race CLK-GTR. 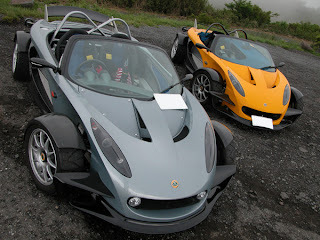 Further the Roadster can be recognized by its different grille, which had a large star in it instead of a small version above it. 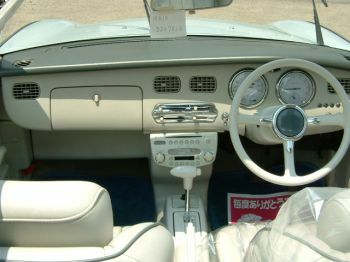 Two rollbars integrating the cockpit headrests were used not only for structural integrity, but also rollover protection. 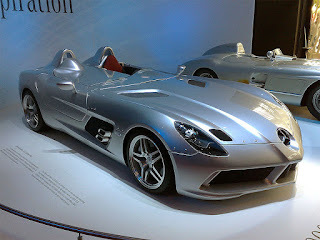 A total of six CLK GTR Roadsters were built by the company." 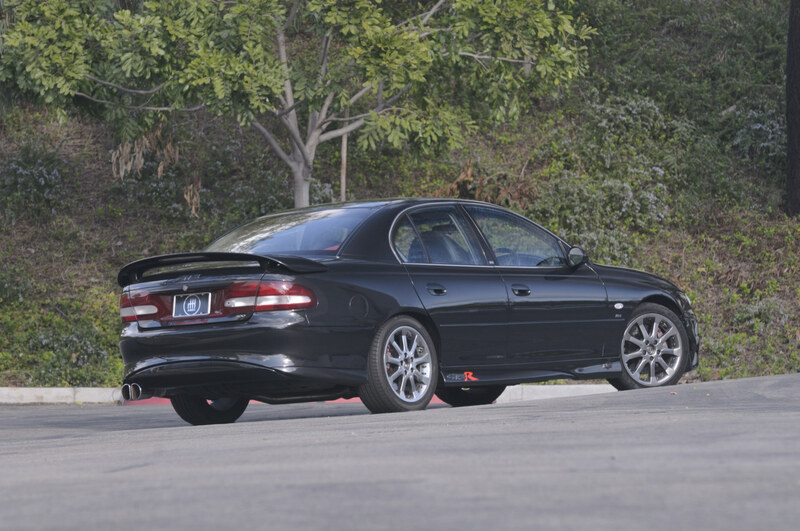 "Ilmor Engineering provided enhancements to the engine, increasing displacement from 6.0L to 6.9L. This increase in displacement coupled with the removal of a racing air restrictor allowed for 612 PS (450 kW; 604 hp) and torque to 775 N·m (572 lb·ft). 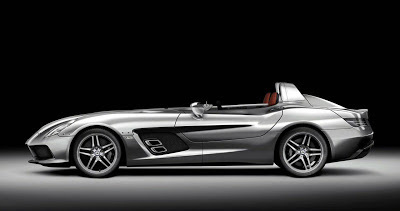 Mercedes-AMG claimed 0-100 km/h (62 mph) in 3.8 seconds and a top speed of 320 km/h (199 mph). 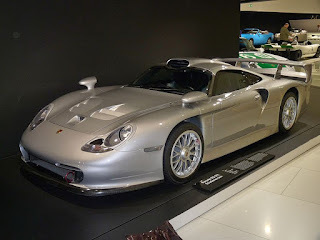 The Guinness Book of World Records recorded the CLK GTR as the most expensive production car ever built at the time, with a price of $1,547,620(USD)." The 1991 Pegaso Z-103 is another example of a kit or replica car that was not approved for Show or Display. There were only 11 made, but being a replica of an earlier car does not make it historically or technologically significant. In a couple of years, it will be over 25 years old and exempt from NHTSA/DOT standards. 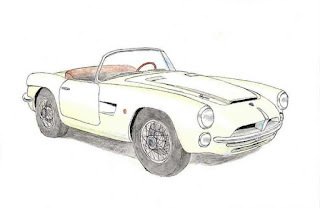 "In 1991 a financial group in the country, in collaboration with a British company (the design firm IAD), presented in the reissue market Pegaso Z-103 SS1 to be produced in limited series. Only 11 were manufactured cars. 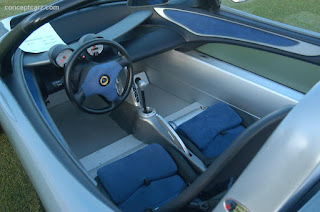 The Z-103 Replica takes a Rover V8 engine of 3.9 liter aluminum interior very similar to the original model with leather trim made by Artespaña. 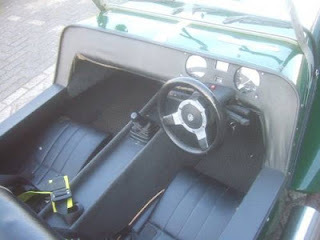 As for the exterior, the design of this two-seater roadster is true to an embodiment of Catalan Serra bodybuilder 1955, although windshield has greater angle of curvature on the sides. Also incorporated frameless windows in the doors, as in the original version had "windows" clear plastic emergency. On the back it incorporates three lights on each side, as the original model did not comply with current legislation. 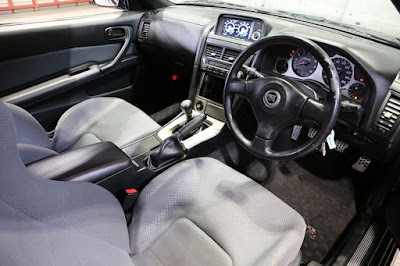 Also, the fabric roof is more broad and straight, providing more space for the occupants, and bumpers are available at both ends of the body and outside rearview mirror. Other changes which affect the operation of the car consist of disc brakes (instead of the drum), the gearbox five speed synchronized steering rack and tank situated above the rear axle, which in the most protected original. The 1983 Robin Hood S7 was not approved for Show or Display. 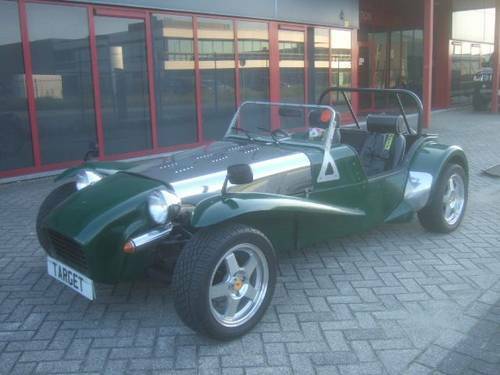 Its pretty easy to see why this car was not approved, its a kit car, based on a Lotus Super 7. 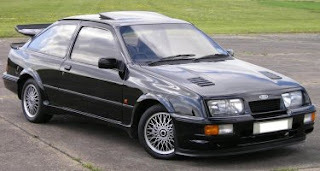 Not a production car, who knows how many made. Not technologically significant. However, this car is now over 25 years old so it is NHTSA/DOT exempt, and over 21 years old its EPA exempt. It is a kit car, so it might fall into some odd areas of the law, so check before importing. Here is something to consider when you send in a Show or Display application or determination, being specific. 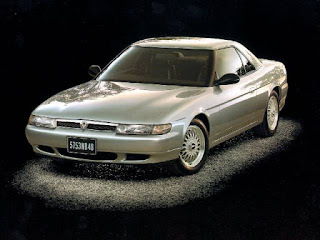 In this case, the 1994-1995 Mazda Eunos JCES Cosmo Series II was approved, but the 1992 Mazda Cosmo was not approved. The Cosmo had several unique technologically significant features, the 20B 3 rotor engine, the first production GPS option, and a CRT touch screen. 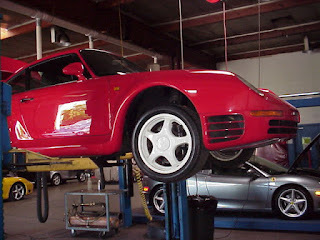 Total there were 8875 cars made from 1990-1995 with about 40 percent of the cars being 3 rotors - JCES. 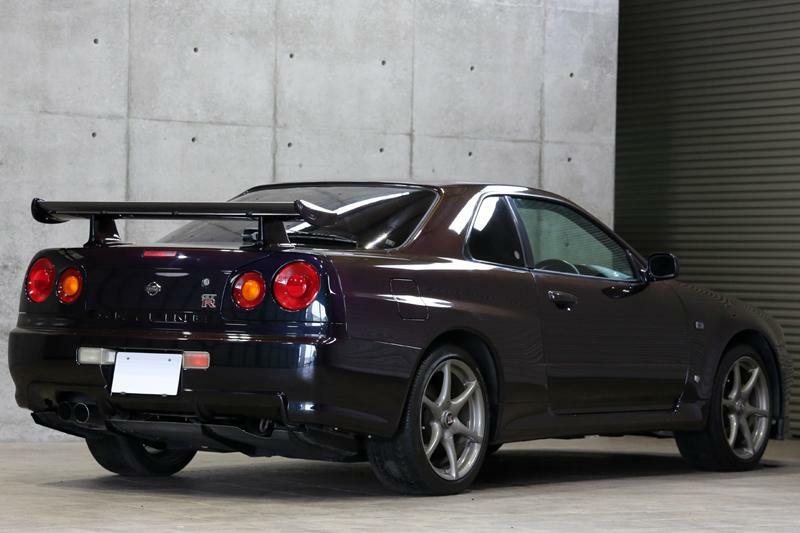 Even though I haven't found out if there were less than 500 sold, someone managed to get the NHTSA to approve a Nissan Skyline GT-R, that there were a lot more than that sold, and doesn't even actually exist. This car might be difficult to get EPA certification. 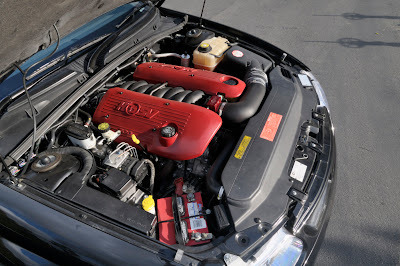 I would suggest finding an ICI that can handle this 3 rotor engine prior to importing the car. In some places, like California, it can get very expensive to bring the car into ARB compliance. 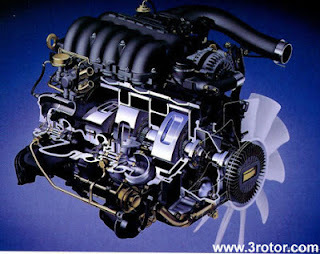 "The triple rotor 20B had 2 Litres (1962 cc) of displacement, making it the largest capacity rotary offered for sale by Mazda. It produced 300 hp (224 kW) and 300 lb·ft (402 N·m) with twin turbochargers. The JC series Cosmo set several firsts in Automotive history. Its 13B-REW and 20B-REW engines were the first series production twin sequential turbo systems to be offered for sale on a rotary engined car (The twin sequential turbo piston engined Porsche 959 predates the Eunos Cosmo by several years). 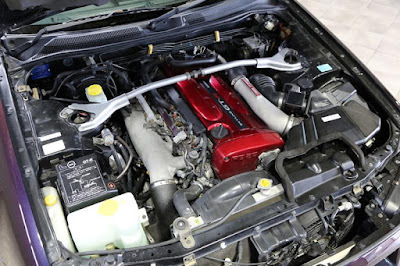 The better known FD RX-7 didn't receive the twin turbo 13B-REW engine until early 1992. Plus was the first production car in the world to get a GPS option & the first in Japan to use the "Palmnet" serial data comms system for ECU-to-ECAT operation. This 4th generation Cosmo was way ahead of its time electronically as well by being offered  with Car Control System, a CRT colour touch-screen controlling climate control, mobile phone, GPS car navigation, NTSC TV, radio and CD-Player." This one is a little odd in 2012. There are no dates associated with the applications, or when they were not allowed. This 1981 Triumph Bonneville motorcycle turned 25 years old in 2006, becoming NHTSA exempt. It was over 21 years old in 2002, and EPA exempt. So even though its not allowed under Show or Display, it has met the age requirements to be exempt. 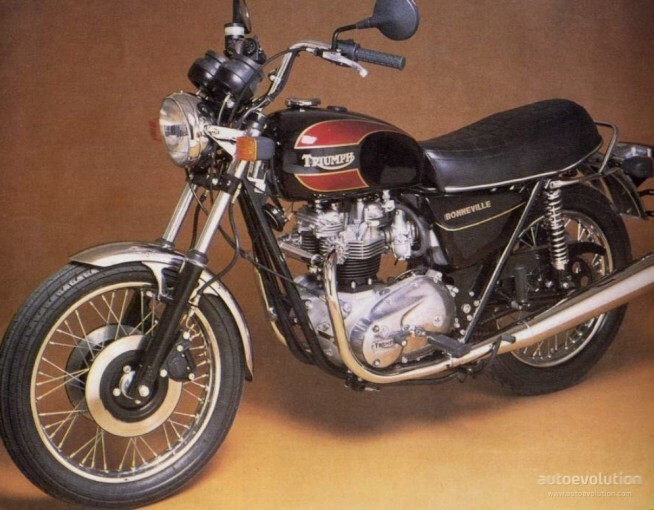 The 1981 Triumph Bonneville attempted to address dwindling sales with what had become "Limited Edition"-madness. Not that it was a bad thing, they turned out some pretty nice bikes. But, the problems Triumph was facing couldn't be solved by cobbling together yet another tarted up version of the same old tired 1937 design. But, that didn't stop them. More power to 'em! Meriden came out with no fewer than 3 new versions of the 1981 Triumph Bonneville. The first two were variants of the 1981 Triumph Bonneville Executive, meant to be the touring version, in both kickstart & electric start versions. These came with fairings, top box (touring pack) & panniers (hard saddle bags). The third bike was intended for Police duty & was being evaluated for that purpose. 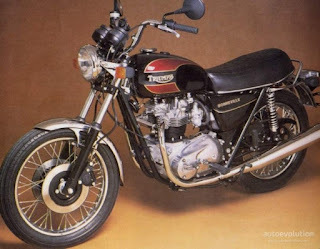 This final 1981 Triumph Bonneville variant was called the T140AV, the "AV" ambitiously designating "Anit-Vibration", which used rubberized engine mounts to quell the vibes. At that time, BMWs boxer-twins were getting the lions share of Police business in Europe & the UK, partly because they were very smooth, but also very reliable. Neither of which could be said for the Triumph Bonneville, unfortunately. The 1981 Triumph Bonneville model year began with Engine #KD28001. Engine mods were few. The TDC locating hole was itself relocated to its former position in front of the engine, because the starter was now in the way & the crankshaft was notched accordingly. There was a new heavy duty 4-lipped roller main bearing on the timing side. The oil feed to the exhaust tappets was blocked off. The old-style screw-in exhaust spigots & finned clamps made their return. Oil seals were added to the exhaust valve guides." The 1990-1991 Nissan Figaro is on the list of vehicles that are not eligible under the Show or Display exemption. More than 500 of them made, and it is not of any historical or technological significance. It may have retro styling, but styling alone isn't enough to qualify for Show or Display. 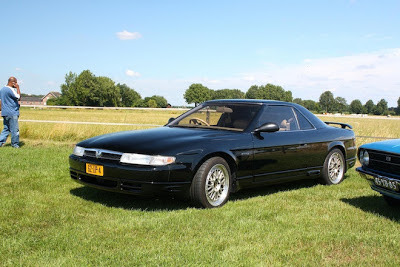 However, this car is nearly 25 years old, and will be eligible for importation in 2015-2016. "The Nissan Figaro is a small retro car manufactured by Nissan. 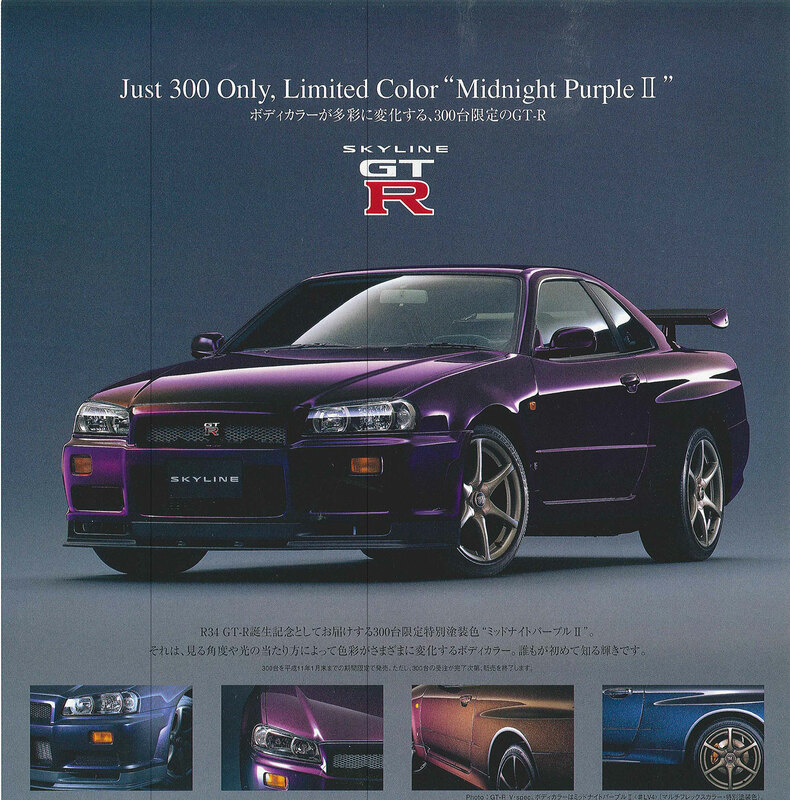 The car was originally sold only in Japan. 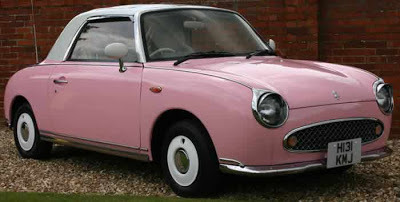 It was based on the K10 Nissan Micra aka March. Only four colors were available: Topaz Mist, Emerald Green, Pale Aqua and Lapis Grey. Each color symbolized a season of the year. 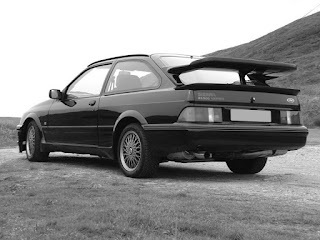 Only 8,000 were originally available with an additional 12,000 added to production numbers to meet demand. " The car features a 402 horsepower LS1 engine developed by Callaway Cars for the Holden Special Vehicles operation in Australia. The car does 0 to 60 mph in 5.3 seconds, 0 to 100 mph in 12.0 seconds and a 1/4 mile in 13.7 seconds at 107.9 mph. Car and Driver Comparison Holden GTS-R vs BMW M5. 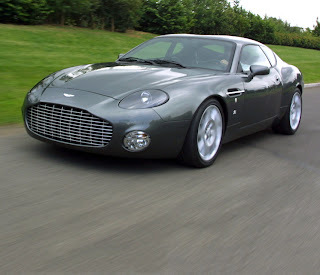 The Aston Martin DB7 Vantage Zagato is a limited-edition grand tourer made by Aston Martin/Zagato. Introduced at the Paris Motor Show in October, 2002, the Zagato was immediately sold out. 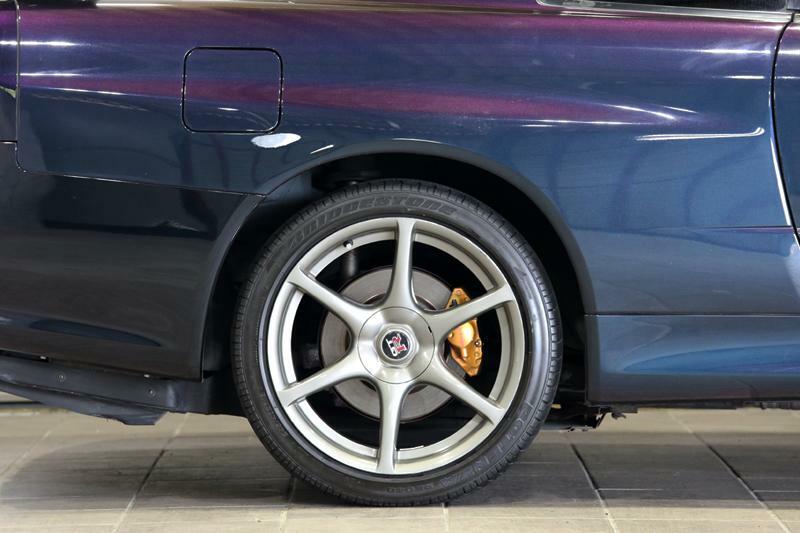 Only 99 examples were sold to the public, though one extra was produced for the Aston Martin museum. Like the Aston Martin DB7 on which it is based, the Zagato is powered by a 6.0 L V12 engine and controlled via a 6-speed manual( or optional 5 speed automatic) transmission. It has a top speed of 190 mph and a 0–60 mph acceleration time of 4.9 seconds. If you can't see the document below - Click here. 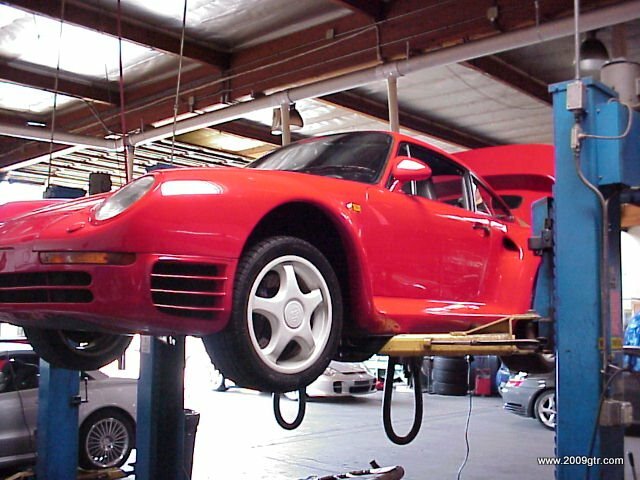 Can I Have Two VIN's On My Car or a VIN That Does Not Meet NHTSA's Requirements?